You can download the 2007 edition of Vertical by Al Warild for free on Mark Passerby's website. This book handles most caving techniques, from basic to advanced. It is clearly written and nicely illustrated (190p.). This is the American equivalent of the well known "Alpine caving techniques" from Marbach. Despite the fact that it is primarily aimed towards an American audience, this 2007 revision also contains most European alpine caving techniques. Was Israel the birthplace of modern man? It has long been believed that modern man emerged from the continent of Africa 200,000 years ago. Now Tel Aviv University archaeologists have uncovered evidence thatHomo sapiens roamed the land now called Israel as early as 400,000 years ago ― the earliest evidence for the existence of modern man anywhere in the world. The findings were discovered in the Qesem Cave, a pre-historic site located near Rosh Ha'ayin that was first excavated in 2000. Prof. Avi Gopher and Dr. 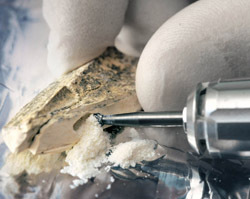 Ran Barkai of Tel Aviv University's Department of Archaeology, who run the excavations, and Prof. Israel Hershkowitz of the university's Department of Anatomy and Anthropology and Sackler School of Medicine, together with an international team of scientists, performed a morphological analysis on eight human teeth found in the Qesem Cave. This analysis, which included CT scans and X-rays, indicates that the size and shape of the teeth are very similar to those of modern man. The teeth found in the Qesem Cave are very similar to other evidence of modern man from Israel, dated to around 100,000 years ago, discovered in the Skhul Cave in the Carmel and Qafzeh Cave in the Lower Galilee near Nazareth. The results of the researchers' findings are being published in the American Journal of Physical Anthropology. In 1940 the cave of Lascaux was discovered by four teenagers. 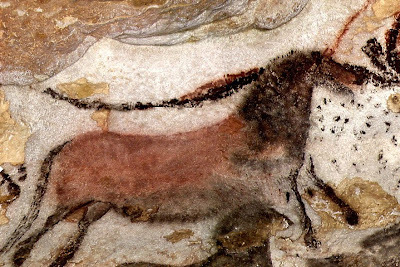 The cave is located in the French region of Dordogne and hosts more then 2000 cave paintings from the Paleolithicum: animals, humans but also more abstract drawings. These cave paintings are incredibly well preserved and give us a good idea about the life at that time. The paintings however are threatened by bacteria and fungal infections. The government closed the cave in 1963 in an attempt to save the paintings from further deterioration. A virtual visit to the cave however is still possible: by clicking on the picture below you can discover the different panels and find additional info about each painting. Lascaux is the setting of a complex of caves in southwestern France famous for its Paleolithic cave paintings. 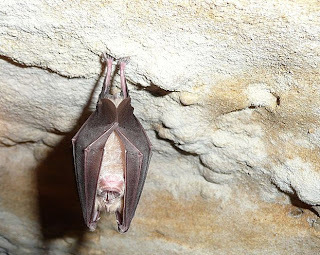 The original caves are located near the village of Montignac, in the department of Dordogne. They contain some of the best-known Upper Paleolithic art. These paintings are estimated to be 17,300 years old. They primarily consist of primitive images of large animals, most of which are known from fossil evidence to have lived in the area at the time. In 1979, Lascaux was added to the UNESCO World Heritage Sites list along with other prehistoric sites in the Vézère valley. enthusiastic about the Yagodinska Cave. A 30,000-year-old finger bone found in a cave in southern Siberia came from a young girl who was neither an early modern human nor a Neanderthal, but belonged to a previously unknown group of human relatives who may have lived throughout much of Asia during the late Pleistocene epoch. Although the fossil evidence consists of just a bone fragment and one tooth, DNA extracted from the bone has yielded a draft genome sequence, enabling scientists to reach some startling conclusions about this extinct branch of the human family tree, called "Denisovans" after the cave where the fossils were found. On Friday december 17th, our caving club (grotto), SC Avalon, gave a party for the discovery of more than 15 km of virgin cave passage in Belgium since the 80's. Despite the bad weather (snow) and slippery roads, 63 persons turned up. Not only members from VVS, but also people from UBS and Speleo Nederland joined. Our long-time chairman, Paul De Bie, gave a nice speech and a short presentation about some of the more important / bigger discoveries. (which you can download here). Exploration in Belgium is really not the same as in some other countries. People were awed by the immense amount of labour and the tons and tons of mud, pebbles and rock that had to be moved. Most of the times the digs don't end up revealing anything spectacular, but once in a while a real beauty is discovered (like the "Grotte du Bois de Waerimont" and the "Grotte des Emotions"). You can find the complete list of discoveries on this page. After the presentation people could enjoy the exposition with some nice pictures and surveys of these discoveries, as well as some drawings and paintings from Annette Van Houtte. A cabinet filled with archeological and paleontological objects discovered during various digs was also getting a lot of attention. Especially the skull of a cave bear (Ursus speleaus) was impressive. Update 28/12/2010: As of today a huge new picture gallery is available here, covering not only the clubs discoveries but also some pictures from visits to some of the most beautiful caves in the world. A special word of thanks goes to our grotto's sponsors Proviron, De Berghut and Chronos. The JSS 2010, an annual cave science conference organised by the Belgian Caving Federation (UBS) and the Belgian Center for Karst Studies held place in Han-sur-Lesse on 11 and 12 december. This years main topic was the "VMR". 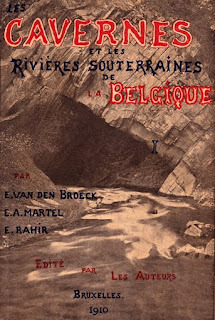 The VMR is a book titled "Les Cavernes et les Rivières Souterraines de la Belgique" published by E. Van Den Broeck, E.A. Martel and E. Rahir in 1910. 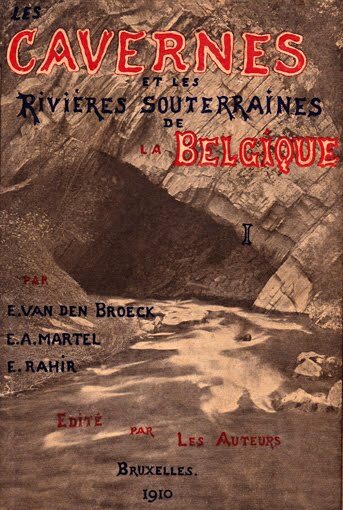 It's a huge book in two parts that described all the caves and underground rivers in Belgium for the first time on a scientific manner. Up until today it's never been equaled. Though there are many new insights and discoveries it's still a reference book for all who are studying the Belgian underground, whether as a scientist or a caver. As it is quite rare and wanted, the price is skyrocketing (I've seen it go for over 300 EUR). Luckily the book has been completely digitized and will be available somewhere in 2011. In België en Nederland komen zo'n 20 verschillende vleermuizen voor (gladneuzen en hoefijzerneuzen), waarvan een aantal zeer zeldzaam is. Omdat er in de koude wintermaanden amper insecten zijn, houden ze een winterslaap: Hun lichaamstemperatuur daalt tot 5°C en ze vertragen hun ademhaling, hartritme en stofwisseling. Naast steengroeven en holle bomen zijn onze grotten een van de plekken bij uitstek om de winter door te brengen: ze zijn koel en vochtig, en gegarandeerd vorstvrij. Nieuwe fotowedstrijd, georganiseerd door de "Lithuanian Cavers", open voor iedereen. Foto's worden vanaf 01/01/2011 online geplaatst op http://galerija.speleo.lt/v/fotokonkursai/ alwaar het publiek ook kan stemmen. Een 5-koppige professionele jury kiest de beste foto, rekening houdend met de internetstemmen. De uitslag wordt bekend gemaakt op 16 februari 2011. The rescue operation to free four adults and three teenagers who have been stranded in the Duhlata cave in western Bulgaria for two days, ended successfully late on Sunday. The accident occurred after Saturday torrential rains and rising underground waters flooded thecave's lower passages. The rescue teams have worked all through the night using heavy equipment such as excavators. 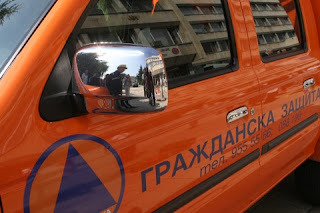 The head of the operation told Darik radio he was optimistic regarding the outcome, adding this could be an unprecedented rescue effort in Bulgaria over its large scale. The four adults are believed to be experienced in speleology with over 20 years of practice and to have all basics to survive inside, along with the teenagers, for several days. Rescuers further said the stranded people are in a safe part of the cave. Nevertheless, Civil Defense pointed out it is reckless to not watch the weather forecast before undertaking such adventures. The seven people entered the cave at about 8 pm Friday night. The kids are aged 11, 13 and 14, and are known to be teenage climbers. They are from Sofia, Pernik, and Karlovo. The Duhlata cave is long 18 km and is known as the more complex underground labyrinth in Bulgaria; it has seven levels. It is near the village of Bosnek, alongside theStruma River. The cave is secured with a door of metal bars but the speleologists received the key for the door from the mayor of the nearby village, not expecting that the torrential rains will affect their trip. 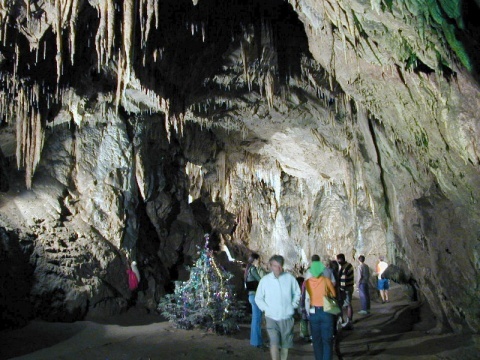 7 people stranded in a cave in western Bulgaria. The rescue operation to free four adults and three teenagers who have beenstranded in the Duhlata cave in western Bulgaria for 24 hours now is continuing, Civil Defense informed Sunday. The incident occurred after the Saturday torrential rains and rising underground waters flooded the cave's lower passages. According to the report, there is one rescue team inside the cave and two more on standby outside. They have worked all through the night using heavy equipment such as excavators. The head of the operation told Darik radio he was optimistic regarding the outcome, adding this could be an unprecedented rescue effort in Bulgaria over its large scale. The four adults are believed to be experienced in speleology with over 20 years of practice and to have all basics to survive inside, along with the teenagers, for several days. Rescuers further say the stranded people are in a safe part of the cave. They hope to be able to reach them by noon Sunday. Nevertheless, Civil Defense point out it is reckless to not watch the weather forecast before undertaking such adventures. The Civil Defense Head, Stefko Burdzhev is travelling to the incident's location Sunday. The entrance of the Duhlata cave looks deceptively small. 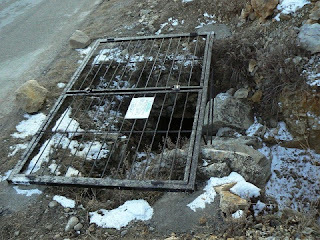 It is secured with a door of metal bars. Four adults and three teenagers have been stranded in the Duhlata cave in Western Bulgaria after the torrential rains and rising underground waters flooded its lower passages. 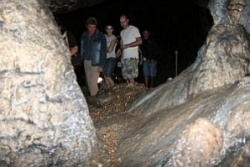 The seven people entered the cave at about 8 pm Friday night; they are known to be speleologists. The kids are aged 11, 13 and 14, and are known to be teenage climbers. They are from Sofia, Pernik, and Karlovo. The rescue units of experienced cave explorers are certain that the strandedpeople are safe because even if the low passages of the cave are flooded, it also has several higher floors where they probably found refuge. The rescue units got a bulldozer to start smashing the rocks at the site of water springs starting at one side of the cave in order to release more water from thecave passages. Delhi Police on Wednesday claimed to have recovered a large cache of arms and ammunitions from a cave in a forest in Jammu and Kashmir following a trail given by a "most wanted" Hizb militant who was arrested here last month. Acting on the information, a joint team of Special Cell and JK Police on November 25 recovered a AK-56 rifle, four magazines, 120 rounds, a hand grenade, two matrix, documents, diary and combat gun pouch (Bandolier) from a cave in Richbagla forest in Rajouri, Additional DCP (Special Cell) Shibhesh Singh said. After evading arrest for nearly a decade, Hizbul Mujahideen's self-styled divisional commander Mohammed Abdullah Inquilabi referred to as 'Mr Surrender' was arrested in Delhi on November 14. During interrogation, Singh said, Inquilabi told investigators that during his school days he came in contact with a Maulavi in PoK, who motivated him to join militancy. "The Maulavi introduced him to leader of Peer Panjal Regiment of Hizbul Mujahideen in PoK. After undergoing training in weapon handling in PoK, he came to JK along with other militants.